Whether your prediabetic, diabetic, or are just looking for ways to improve insulin sensitivity, this training video teaches on how one can improve metabolic health through natural solutions. If you want to improve insulin sensitivity it is so important to make sure that you are utilizing the proper tips and techniques that will balance your blood sugar. Insulin resistance is a huge problem in today’s society. The best way to optimize blood sugar entering into the cell is to utilize the simple strategies taught in this video. To improve insulin sensitivity, one must combine diet, exercise, lifestyle, and nutrition together for optimal results. Many people are unaware of the impact that these strategies can have on improving their health and ability to increase insulin sensitivity. An insulin resistance diet is one that is low in carbs and low in sugar. 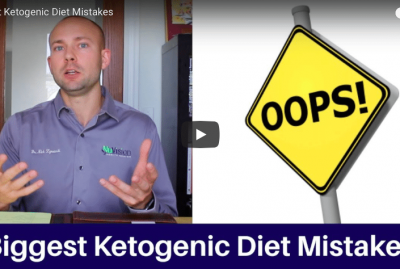 The ketogenic diet is a great example of a low sugar low carb diet that is super healthy for those who are looking for a insulin resistance cure. If you want to improve insulin sensitivity, utilizing magnesium, apple cider vinegar, chromium, berberine, fish oil, and lifestyle methods are incredibly powerful and effective. They all support blood sugar in their own way. Some can mimic the effects of insulin, some buffer the effects of blood sugar, and some slow stomach emptying. There is huge potential for you improving your health drastically and having a lot of weight loss when you have your insulin under control. Be sure to implement these blood sugar balancing strategies so that you can live a healthier life and improve your overall wellbeing. In this video, we’ll discuss the top ways to improve insulin sensitivity. Hi, ladies and gentlemen, it is Dr. Zyrowski and if you are new to the channel it is a pleasure to have you here. Be sure to subscribe, hit that bell notification, and enjoy our notification community so I can help you excel your health and your life. 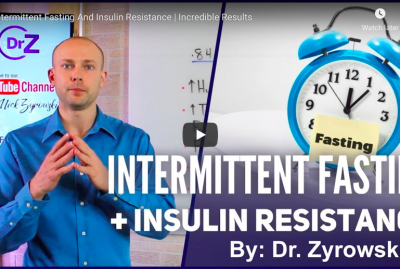 In this video, we’re talking about how to improve insulin sensitivity. This is an important topic because it’s estimated that one in four people suffer from type 2 diabetes. It’s even more important because it’s estimated that one in three people actually suffer from pre-diabetes. Of these one and three people, it’s estimated that 90% of them are completely unaware that they have pre-diabetes. In those one and three, it’s estimated that up to 30% of them will be full-blown diabetics within five years. So this is very, very alarming and very important. So what we’re going to talk about are some different nutritional items that you can use in order to improve your insulin sensitivity. Then at the end of the video, I’ll go ahead and give you some different lifestyle tips in order to help really take that diabetes type 2 and work on reversing and/or reversing pre-diabetes, or just make sure that you stay healthy. Now the other thing I want to mention, I did another video on how to take a simple glucose meter and do a fasting blood sugar test in the comfort of your home and know whether you fall into the pre-diabetes category or diabetes. What I’ll do is put a link to that in the description below (Blood Sugar Video). Now the first thing on our list here is apple cider vinegar. You know that apple cider vinegar is very powerful for many reasons. It helps to balance our body’s pH, helps with weight loss, just with our overall health, but one of the things that’s very interesting is how it affects insulin sensitivity in your blood glucose. I looked at a couple of studies that I found interesting and how we could correlate it to this video. Here’s the thing is that one study showed us that they took participants and they gave them a carb meal. While on the carb-heavy meal and utilizing apple cider vinegar they were able to see an insulin sensitivity improvement of 34%. They also took diabetics and fed them a meal and they gave them apple cider vinegar and they saw a 19% improvement in insulin sensitivity. What we know is that by consuming apple cider vinegar with your meal, you’re going to improve insulin sensitivity and more efficiently shuttle that blood sugar into the cell. Now when we look at apple cider vinegar, I’ve done a lot of different videos on this so I will go ahead and link the playlist below. Here’s the deal is that when we look at a lot of the research its found is that one to two tablespoons of apple cider vinegar with your meal is going to give you the best results. Next on our list here is cinnamon. Cinnamon, once again it’s very powerful for improving insulin sensitivity, balancing your blood sugar but research shows us it does a couple of really interesting things. First of all, what it can do is actually mimic insulin. So, it can actually have some of the same effects on the cell that insulin does and it really supports the healing of that cell receptor. Now when we look at the research, what was found is that taking about 3 teaspoons daily was one of the most optimal ways to actually consume it. You can actually put it in a smoothie, or some people like putting in their coffee. What you can do is actually take a teaspoon with each meal and that’s really going to offer you some incredible benefits for insulin sensitivity improvement. Next here is magnesium. Now magnesium is powerful for so many reasons. I love magnesium it helps with you know muscle tension, stress, and it helps with so many important factors in the body. One of the things that it also helps with is actually supporting insulin sensitivity and the improvement of it. Magnesium was found that when deficient, it’ll actually cause some insulin resistance problems. And so a review of studies showed that all these people who had these magnesium deficiencies were typically insulin resistant. You now adding some magnesium to your supplement regimen is going to be really powerful. Here the next is Berberine. Berberine is great for many reasons it’s going to help support a healthy gut. But the other thing that it’s going to do is increase insulin sensitivity. There have been some really great research studies that have come out on this lately. So what I want to mention here, because I’m mentioning supporting a healthy gut, in insulin sensitivity is that typically people who are pre-diabetic, diabetic, or have insulin sensitivity issues all together are people who have a very unhealthy gut. Taking this berberine right here will not only support the gut in helping get rid of bad pathogens but what it’ll also do is it’s going to support the insulin sensitivity issue. Now next on our list is fish oil. 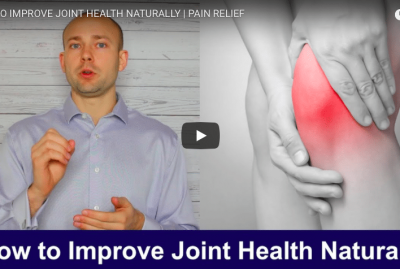 Fish oil is powerful for many reasons but in particular in this case, what is going to help do is reduce inflammation. When you reduce inflammation, then what’s going to happen is that the cell will be able to heal itself. Because when we have cellular inflammation the fish oil is going to help reduce that and then as a result of cell receptors will start working more efficiently. They will also be able to shuttle that blood sugar into the cell more efficiently. So fish oil is very powerful for reducing inflammation and also improving insulin sensitivity. What we have to do is talk about some of the lifestyle factors. I said I’d mentioned some of these lifestyle factors in the end, and so the first one I want to talk about is exercise. When you look at reversing diabetes, you look at going and improving insulin sensitivity, exercising is very, very powerful. You know at least a 30-minute walk a day but if you’re looking for the absolute most efficient way to not only exercise but also improve insulin sensitivity, high-intensity interval training is very powerful. If you’re not familiar with high-intensity interval training, I’ll put a link to that below. I know I’m throwing a lot at you guys so I will link everything below that needs like a more in-depth look. You know exercise or any of these different issues, like gut health, I’ll put links below that will give you more videos on how to improve these areas of your health. Next here is a ketogenic diet. 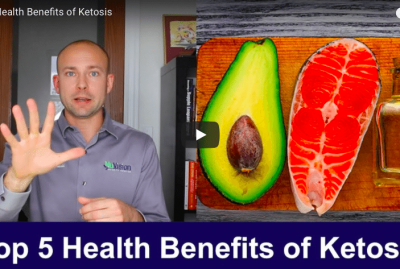 When we look at the diet issue, the ketogenic diet is very powerful for reversing diabetes but also just powerful for reducing inflammation and healing all together. 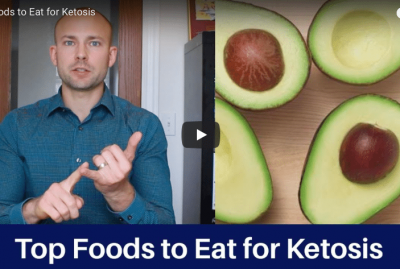 If you don’t want to go as extreme as the ketogenic diet by measuring your blood ketones and making sure you’re in ketosis, a good low-carb diet is very powerful. I’ll put that information below. Last, your losing weight. You know people who lose weight are going to become more insulin sensitive almost automatically. So we want to make sure that we’re going and striving toward losing weight. Here’s the deal, do some exercise, make sure your diets on point, make sure you lose some weight, then the other thing is to add these different nutrients to your daily regimen. This is going to be an extraordinarily powerful way to improve insulin sensitivity. Which you know first of all it’s going to help you reverse disease, avoid disease in your future. Also, the other thing that it is really great for is it is going to help you not gain weight because when we improve insulin sensitivity we’re less likely to put extra pounds on. Other than that give this video a thumbs up, share with your friends and then subscribe to my channel. I’d greatly appreciate that. If you have any questions, put it in the comment section here below and I’ll get back to you. 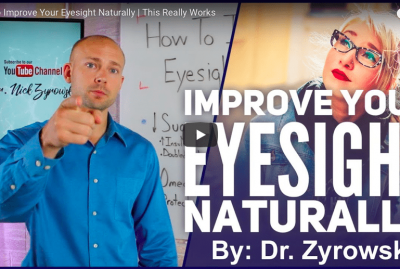 Then check out the other videos that I’ve done on how you can improve your health.